By using CD Waste Ltd, we can personally guarantee that the recycling rate of the content in your waste containers will be 95% avoidance of landfill by utilising our RDF AND MRF facility or one of our other approved sites. Once we have collected your food waste, it is taken to a special processing plant where it is treated in an enclosed vessel. Anaerobic digestion (AD) is a biological process that produces a gas principally composed of methane and carbon dioxide otherwise known as biogas. These gases are produced from organic wastes such as meat and fruit. Anaerobic processes could either occur naturally or in a controlled environment such as a biogas plant. Organic waste such as food and various types of bacteria are put in an airtight container called a digester so the process can occur. Depending on the type of organic waste and the system design, biogas is typically 55 to 75 percent pure methane. A by-product of the AD process is digestate. Digestate is a stable, nutrient-rich substance that is most commonly used as a renewable fertiliser or a soil conditioner which will be used for horticultural purposes on farms as a highly valuable addition to fertiliser. CD Waste Management offers an unrivalled service when it comes to Confidential Waste Destruction. All staff are fully vetted via CRB checks before they arrive to collect your waste on the date that’s been agreed. Vehicles are GPS tracked by an independent company, fully alarmed on all doors, and fitted with an immobiliser on the driver’s belt. Your waste is collected either using sacks with security seals or a lockable container. A three part docket recording the transaction is approved and signed by you and by the driver, and a signed copy left with you. The waste is taken back to our fully secure premises – protected by electric gates, alarms and CCTV cameras – to be shredded within 24 hours of collection (we’re a 24 hour operation). 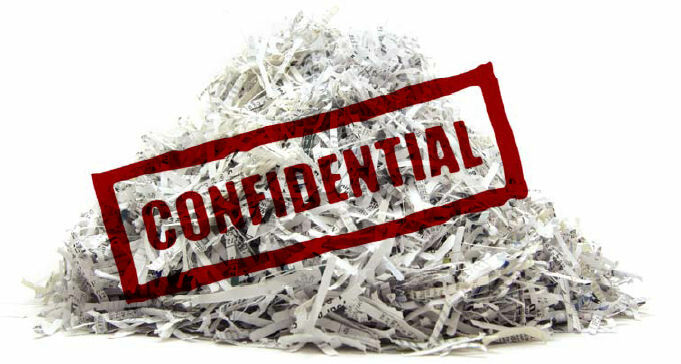 The waste is emptied directly into the shredder and fully destroyed, nothing is emptied in the yard and CCTV footage of you documents being destroyed is available on request. We also offer a portable destruction service where a specialist vehicle will be provided at your premises so that you can witness your documents being destroyed. For a no obligation site visit from one of our Business Team. We offer a wide variety of recycling containers to suit your business and save you space. Our experienced consultants will carry out an inspection of your waste to identify the opportunities to increase the amount of waste you recycle whilst potentially saving you money in the process.Call 020 8469 4858 and speak to one of our Business Team who are on hand to help.